ISIS has captured 700 hostages, including US and European citizens, in Syria and is killing 10 people a day, Russian President Vladimir Putin said during the Valdai Discussion Club’s 15th Annual Meeting on October 18. He criticized US forces for this “catastrophic” failure adding that the terrorists “have delivered ultimatums and made certain demands, threatening … to shoot ten people every day.” According to Putin, the terrorists already started carrying out their threats and executed ten hostages two days ago. 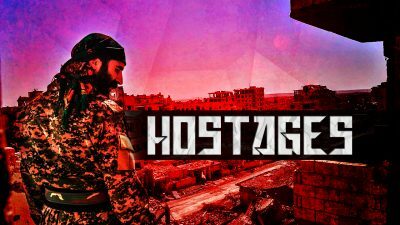 On October 17, the Russian news agency TASS reported citing a military diplomatic source that the hostages were captured by ISIS in the province of Deir Ezzor during a failed advance of the US-backed Syrian Democratic Forces and the US-led coalition. On October 18, the SDF repelled an ISIS attack near the village of al-Baghuz al-Fawqani in the Euphrates Valley. During the recent clashes in the Hajin pocket, the SDF destroyed a suicide vehicle borne improvised explosive device and 15 ISIS members. 2 SDF members also died. According to the Syrian state media, US-led coalition warplanes bombed civilian buildings in the village of al-Susah killing and injuring multiple civilians. The US-led coalition is often avoiding to comment on such reports. However, even Amnesty International says that Washington is hiding the real number of civilian casualties as a result of its operations in Syria. Meanwhile, Russia and Turkey informed the UN that the timeline for the implementation of the Idlib de-confliction agreement had been expanded. One of the key problems behind the delay is the unwillingness of Hayat Tahrir al-Sham (formerly Jabhat al-Nusra) and similar terrorist groups to withdraw from the agreed demilitarized zone.